Cuba has quickly become one of our most popular retreats and a country and land we have fallen head over heals for. The visual over stimulation is one we can't get enough of - from the old colorful buildings, intricate architecture, the wide variety of races and colors that make up the cuban people, the music, the art, ohhh the art, with emotion just seeping out of every corner, and then on top of that, the tropical caribbean climate, makes cuba a YFBP no brainer. 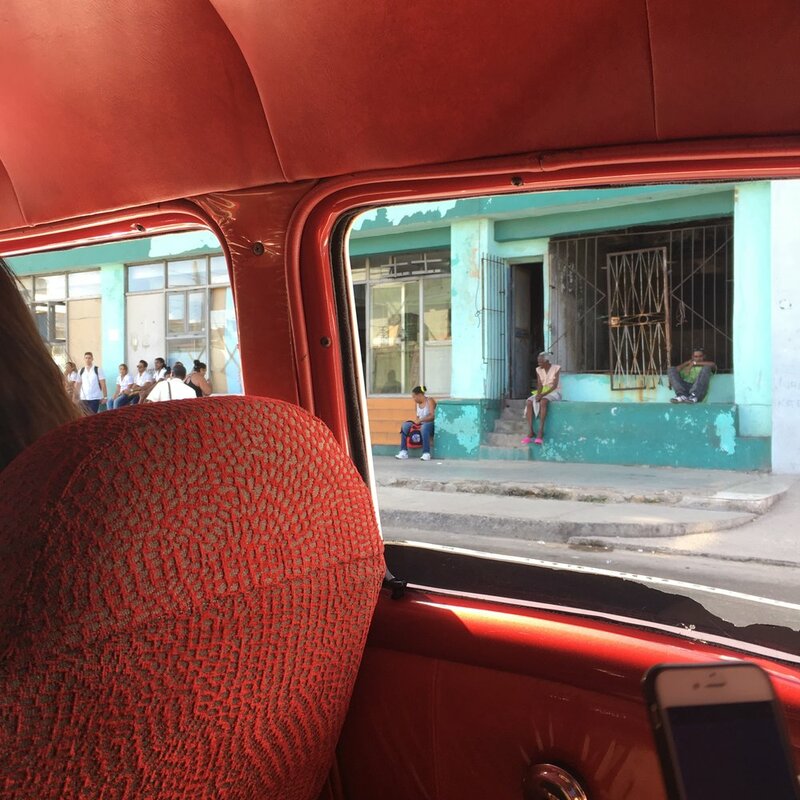 This was our fourth trip to cuba, every time it changes a bit - more tourists in general, our programming improved, and the political climate always with changes. improvements in the wifi, but then reminders of the old policies that still hold true to the cuba that will soon become its past. for example, we had to change our itinerary a bit last minute for our beach day in pinar del rio, since the beach we normally drive to was closed due to a bike race. our guide and dear friend, rocio, found another beach only accessible by boat. she couldn't, however join us, as she normally would, as cubans without prior legal permission, are not allowed to board boats. so we had to leave her behind for a day and take the boat with another guide who had prior permission to board a boat, to take us to our beloved beach day. needless to say, rocio was used to this kind of thing, but for us, as americans, it was a wake up call for sure. We are going back April 16-22nd, 2017 with Heather and Samantha. Join us! Below is a little visual story on our December 2016 trip.